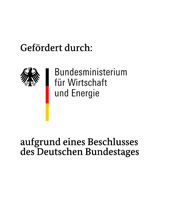 D-A-CH+ Energy Informatics is a joint initiative of the German Federal Ministry for Economic Affairs and Energy, the Austrian Ministry for Transport, Innovation and Technology, and the Swiss Federal Office of Energy (http://www.smartgrids-dach.eu/). The ambitious D-A-CH targets for reducing greenhouse gas emission and enlarging the share of renewable energy sources result in a trend towards increasingly complex „systems of systems“ . In the energy system, integration of heterogeneous and often networked components has become indispensable. Energy Informatics is developing the IT-based solutions required for achieving these targets and managing the complexity of the paradigm shift in energy systems. 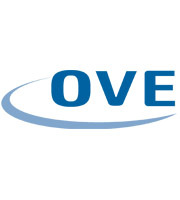 The objective of Energy Informatics 2016 is to act as a promotor of innovative information and communication technologies and to foster the transfer between computer science and the energy application field. The conference addresses both scientists and practitioners. D-A-CH+ Energy Informatics Conference 2016 is part of INFORMATIK 2016, 46. Jahrestagung der Gesellschaft für Informatik, September 26-30, 2016 in Klagenfurt, Austria. In conjunction with D-A-CH+ Energy Informatics Conference 2016 the 7th PhD Workshop Energy Informatics is organised on September 27-28.